Mexico is Texas’ biggest trading partner with $95 billion in commerce in 2015. 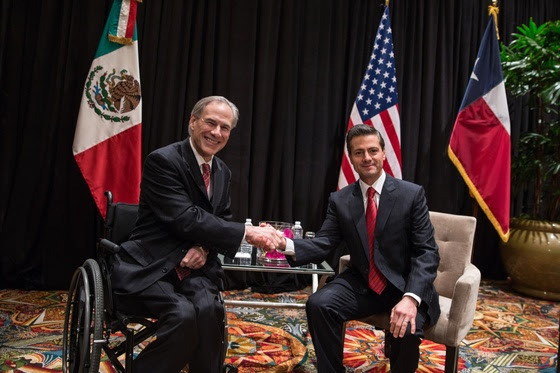 Texas Governor Greg Abbott visited Mexico City earlier this month and met with Mexican President Enrique Peña Nieto to discuss additional ways Texas and Mexico can work together to further strengthen their partnership. 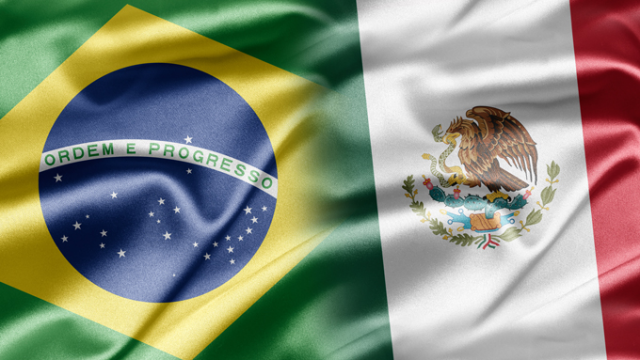 As we watch President Donald Trump lurch from one controversy to another, let us focus on one that is close to home – his disastrous beginnings with Mexico, our neighbor, friend and trading partner for whom he appears to have zero regard. It is bad enough that our new leader wants to build a useless $25 billion wall between our two countries and insults Mexico by insisting our southern neighbor will pay for it. But it is equally disturbing that he thinks the landmark North American Free Trade Agreement between the U.S., Mexico and Canada is a giant rip-off of the United States. Trump has pointed to the $58 billion trade deficit the U.S. had with Mexico last year as an example of NAFTA’s treachery. He misses two important points. One is that we also have a deficit with Canada that dropped to $9.1 billion last year – but even with that has averaged $46 billion annually since 2000. The other is that, according to the U.S. Trade Representative’s website, our deficits are not the result of a trade imbalance, but rather, our thirst for oil, which we buy from Canada and Mexico. “The largest factor affecting the trade balance with NAFTA countries is the importation of fossil fuels and their byproducts. If those products are excluded, there is no deficit. In fact, the United States has a large and growing trade surplus in goods, including agriculture and manufactured goods, as well as in services,” the site says. It is true, as NAFTA critics charge, that jobs in some sectors have been lost to lower-wage labor in Mexico. But the large increase in trade with the two countries under the pact also has created many new jobs in the U.S. – an estimated 5 million of them, many here in Texas. So, if Trump wants to renegotiate NAFTA as he says, that’s fine. It has been in place since 1994 and could probably use some updating. But if he wants changes that threaten the trade pact’s future or decides to pull out, he needs to know he will cause significant disruption to economies that have become closely integrated. Texas would not escape unharmed because Mexico is our biggest trading partner, with $95 billion in commerce in 2015, the last year for which figures are available. But Trump’s other problem with Mexico is not about money; it’s about his imperious, insulting attitude toward the country. He and President Enrique Peña Nieto have had several conflicts already, the latest in a phone call last week that was supposed to have cooled things down. It turns out, according to the Associated Press, that Trump threatened to send U.S. troops into Mexico to eradicate drug cartels, because he said the Mexican army was afraid to fight them. And according to a report in the Mexican press, he told Peña Nieto he didn’t need Mexico and the Mexican people. Unfortunately, his lack of knowledge and concern for Mexico has become painfully apparent. Quite simply, we would urge President Trump to take the time to learn more about Mexico, Canada, NAFTA and our interconnected economies. He could start by reading his own trade representative’s web page. 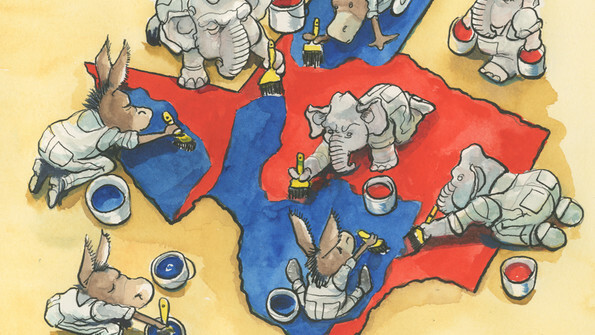 Texas’ senators and our congressional delegation also should take the lead. As things stand now, Trump’s apparent lack of understanding makes it hard to take him seriously. When it comes to U.S.-Mexico policy, he does not speak for our country’s best interests. 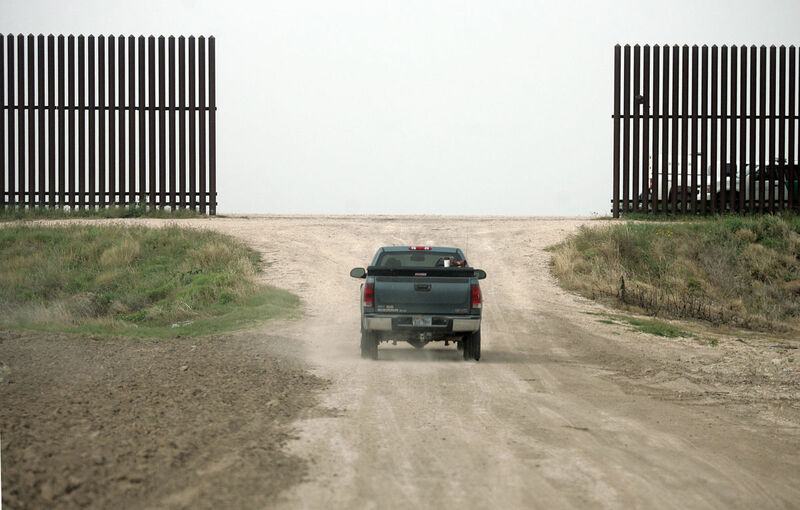 Don’t build a wall in the RGV – Not in my backyard.